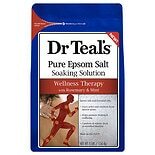 Shop Dr. Teal's Pure Epsom Salt Soaking Solution (48 oz. 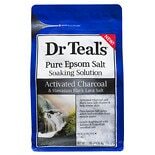 )48 oz. 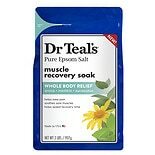 Shop Dr. Teal's Muscle Recovery Epsom Salt (32 oz. )32 oz. 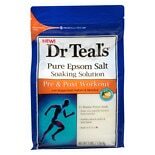 Shop Dr. Teal's Pre & Post Workout Epsom Salt (48 oz. 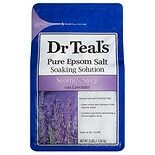 )48 oz. $699$6 and 99 cents$0.21 / oz. 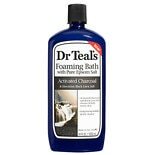 Shop Dr. Teal's Epsom Salt Soaking Solution Magnesium Sulfate USP Unscented (96 oz. )96 oz. 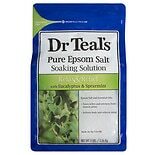 Shop Dr. Teal's Epsom Salt Soaking Solution, Therapeutic Soothing Mint & Rosemary (48 oz. 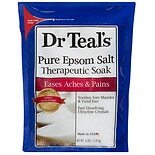 )48 oz.